Dr. Conroy is an experienced Neurologist and Sleep Medicine physician, who is a director of the Saint Anne’s Hospital Center for Sleep Medicine. Dr. Conroy treats patients with a variety of neurological conditions including stroke, cerebral vascular disease, headaches, memory loss, multiple sclerosis, seizures, Parkinson’s disease, and movement disorders, and performs neuromuscular testing. 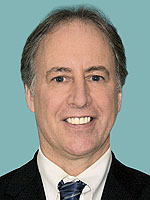 Dr. Conroy is a Diplomate of the American Board of Psychiatry and Neurology in both Sleep Medicine and Neurology. A graduate of the University of New England College of Osteopathic Medicine, he completed his training at Roger Williams Medical Center/Brown University Program in Medicine and his Neurology residency at University of Massachusetts Memorial Medical Center. He is a member of the American Academy of Neurology, Massachusetts Medical Society, and the American Academy of Sleep Medicine.